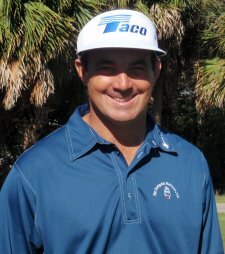 PLANTATION, Fla. – The fourth birdie of the day in a mistake-free round proved to be the winner Monday as Brad Adamonis of Cumberland, RI, won for the 17th time on the Minor League Golf Tour. His final birdie came on the par-4 first hole of a playoff after he had tied at three under par 69 with Evan Russell of Essex, VT on the West course at Jacaranda Golf Club. Adamonis birdied the first, fifth and 13th holes in regulation and collected $600 from the $2,440 purse plus $150 from an optional bonus pool and $40 in the skins game for a total of $790, raising his career earnings to $58,413 since February, 2005. His winning birdie was from three feet moments after Russell missed a 12-footer. Russell bogeyed the first hole, birdied Nos. 5, 6 and 7, bogeyed the eighth, eagled the par-5 ninth, turned and finished with nine straight pars. He was second among 19 starters, earning $480. Russell is still looking for his first win since joining the MLGT last October. 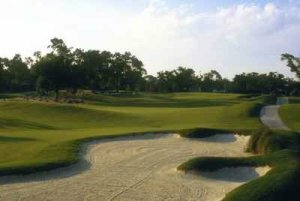 Two more 18-hole tournaments are scheduled this week, Tuesday at Abacoa GC in Jupiter and Thursday at West Palm Beach Municipal GC. The Minor League Golf Tour's first WEB.com Q-School Contest of 2017 is just 2 weeks away. The contest is comprised of back to back 2-day events. The first half will be held at PGA National Estates Course on 1/23-24 and the second half will be held at Martin Downs Country Club on 1/25-26. The Minor League Golf Tour is guaranteeing a full paid entry into 2017 Web.com Q-school for the low 4-day score of those players entered in the contest. If more than 25 players participate in the contest, the extra money will go towards the 2nd place finisher's (in the contest) 2017 Web.com Q-school entry. The first 2-day event entry is $420, the 2nd 2-day entry fee is $390, and the Web.com Q-School contest entry fee is $200. Both of the 2-day events will have prize pools and optional skins games and optional bonus pools. Please call Tournament Director Scott Turner at 561.598.9630 with any questions. 50% of the field earns a check. WEST COURSE. Jacaranda needs a final count 2 days prior so if you want to play please sign up early.